From abundant accommodations and beautiful ceremony sites to delightful Gala dinners and receptions - to on-site rooms perfect for showers and gift openings, our staff assists you at every step. Our outdoor ceremony site, indoor banquet room offers everything you need to make your wedding celebration complete. 5 reasons which makes Cloud 9 the best wedding location. 2 Acres of huge resort land with 14,000 sq.ft. of Marriage ground. 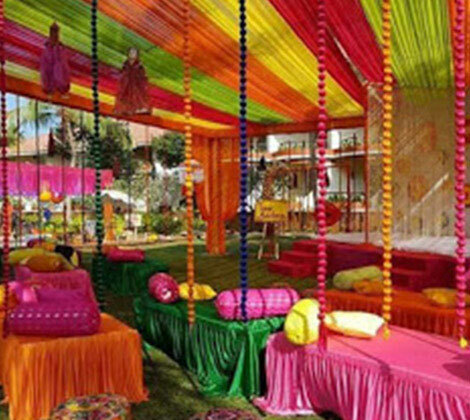 Food, stay and decoration at the best rates OR option to hire the ground only with your choice of caterers. Air-conditioned bungalows & independent cottages with a breath taking view of the valley.